Our 10:30 am Sunday service is a more relaxed format based on the structure of our traditional worship using more modern musical equipment and songs. 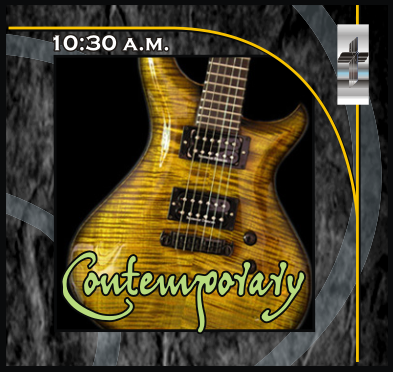 Our praise band includes electric guitars, drums, keyboard and singers. In addition to Bible readings, a sermon and time of prayer, the pastor is dressed more casually and leads a children’s message to help them understand the sermon of that day.